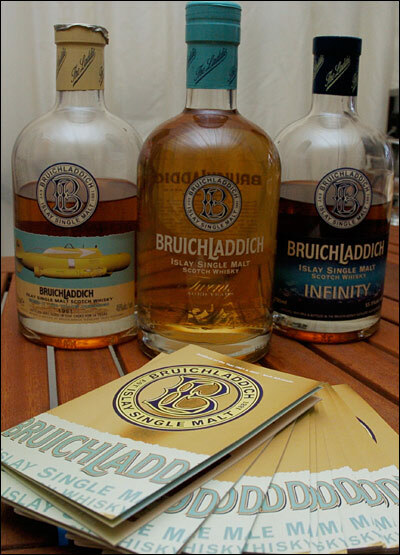 The Le Mans Series Press Pack is seldom a civilised bunch, but Team Bruichladdich did all it could to remedy that situation at Donington Park last Saturday evening - with an invitation to taste the sublime Single Malt whisky produced by the team’s sponsor at its Islay distillery. 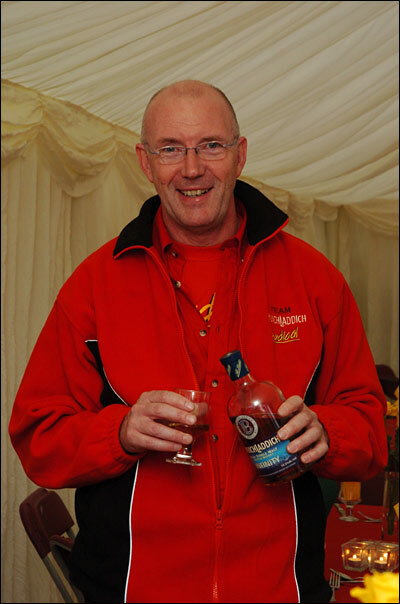 Team Principal Tim Greaves was on hand to explain the complex production processes and protocols involved in producing whisky (particularly in its international home of Scotland). Indeed Tim’s arrival had excited much interest amongst the press pack, not only because he is good and interesting company, but also because the ever-helpful team PR Pippa Neilson had just announced “Tim’s just coming over and he’s bringing a 20 year old with him!” For many the revelation that the 20 year old in question was actually a £100 bottle of whisky was initially a disappointment, the vast hordes of photographers who had turned out for the tasting (funny that!) no doubt anticipating a paparazzi moment. Greaves though was soon into his stride, explaining the differences between the 20 year old product, a rather more fiery 11 year old and a sublimely smooth special edition “Yellow Submarine” bottle, named after the experience of a local fisherman who found – well a submarine obviously, fouling his nets. So McRae stood and watched as the German contingent of the press pack waded through the onerous task of tasting the different whiskies on offer. Jan Hettler and Harald Gallinis are here seen doing just that! So then, welcome aboard Team Bruichladdich, all we need now is a team sponsored by Haribo and Benson & Hedges and the dsc Editor would have a happy, smiley face at every race.